The best part of living and studying abroad for Frederick “Rick” Cieri ’17 is learning something new every day. That includes the joy of honing his skills in foreign languages—four, so far. A semester and a summer abroad with SU Abroad and two highly competitive national awards—a Fulbright and a Boren Scholarship—have kept him exploring and learning abroad for the better part of the last three years. Cieri, who graduated with degrees in international relations and modern foreign languages from the College of Arts and Sciences and the Maxwell School of Citizenship and Public Affairs, studied abroad during a semester in Strasbourg, France, and during a summer program in Madrid. 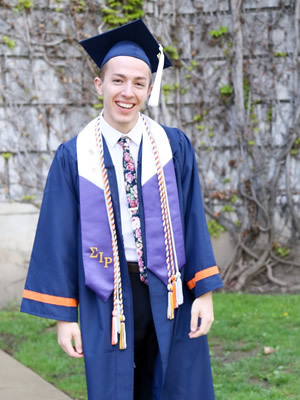 He was named a Boren Scholar, which sent him to São Paulo his senior year, where he took classes in English and then in Portuguese as he learned the language. 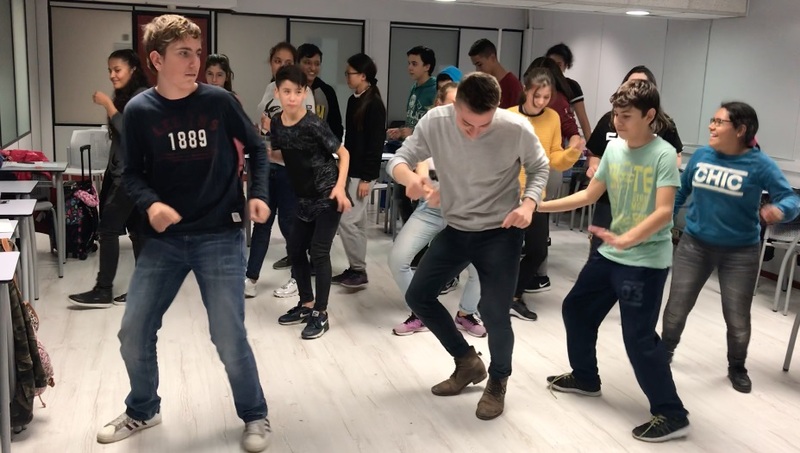 Currently in Madrid after being selected for the Fulbright English Teaching Assistant Program, Cieri assists in English and social science classes in a secondary school and also teaches a Model UN curriculum to 13- and 14-year-old students. Why did you decide to apply for the Boren Award? I honestly just came across a pamphlet for the Boren Award in the international relations department’s office. With the Boren application, you apply by foreign language. I knew I wanted to learn Portuguese, because it seemed like the best option for me considering my experience in studying French, Spanish and Italian. I then had a choice between Mozambique and Brazil. Considering I knew very little about Brazil and Brazilian culture, I decided on Brazil. What sort of work did you do while you were there? In my first semester, I started learning Portuguese and took courses in English on Brazilian politics and social issues. By my second semester, I achieved the level of Portuguese necessary to take direct-enroll courses at the Brazilian university—PUC-SP (Pontifícia Universidade Católica de São Paulo). I took courses such as Advanced Portuguese; Brazilian Cinema; Social Movements and Activism; and Nation, Diversity and Gender in International Relations—all taught in Portuguese. While in Brazil, I also completed my research capstone for Distinction in International Relations, completing a project about international law on refugees. Living in Brazil had reinforced some of the lessons I learned through my previous study abroad experiences. One of those lessons is that despite our differences of language and customs, we as human beings have much more in common than we think. I have always been eager to learn of other cultures and peoples and to understand them. Living in another country for such a long time, I truly got to see that we are all the same. Our natural divisiveness as humans is what must be overcome to maintain peace and to create a more global understanding of one another. 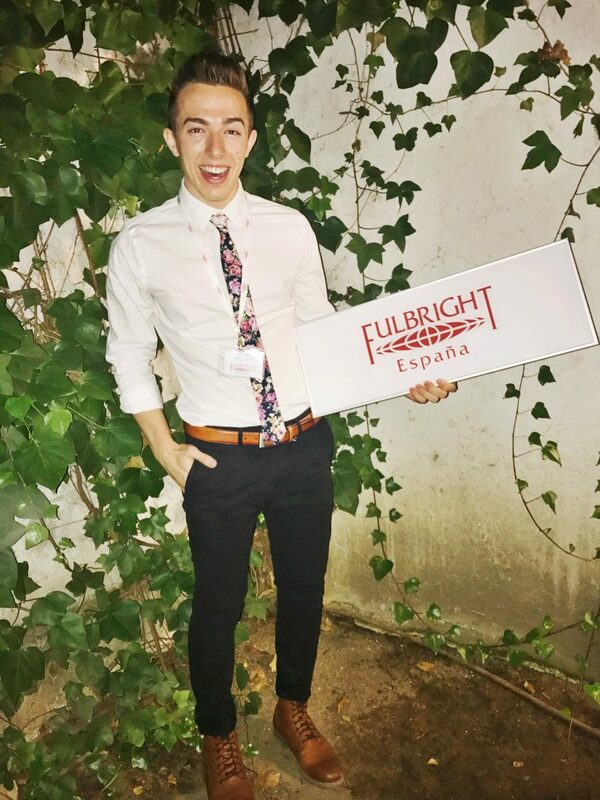 Why did you decide to apply for the Fulbright English teaching assistant award? I wanted to maximize my opportunities to live abroad and enhance my foreign language skills. Potentially getting the Fulbright also meant that I would have post-graduate plans. This particular Fulbright opportunity in Madrid appealed to me because I would be teaching my students a curriculum called “Global Classrooms”—it is essentially Model United Nations (MUN), taught in a high school social science classroom setting. I was a participant of Model United Nations at Syracuse University, so sharing my love for MUN with my students has been quite an amazing experience so far. Also, in several English classes per week, we focus on public speaking skills and research writing, and in the social science classes, we study aspects of the UN, problems we face as a global community and possible solutions to these problems. Are you doing any other work while there? Rick Cieri and his American English class dance to the “Cupid Shuffle” to learn about prepositions in English. The class is sponsored by the U.S. State Department. Upon arriving in Madrid, I was hired as a teacher by the Go American English! Program, which is funded by the U.S. State Department and provides American English courses to students from low-income families in the city. How do you hope your Boren and Fulbright experiences will assist you with your future goals? I am hoping the Boren will help me secure a job within the U.S. government, as I am obliged through my Boren service requirement to work for the State Department, Department of Defense or Department of Homeland Security for at least one year. I feel quite fortunate, because the Boren can provide me with my first stepping stone into the professional world. Additionally, Fulbright is giving me great experience as an educator. Should I see education as the appropriate future career for me, my Fulbright Scholarship will hopefully open doors! Although education is not directly connected to my major of international relations, I understand it to be the first step toward progress in human rights. Essentially, I believe that education plays a significant role in solving any and every global problem. I am also looking into law schools and graduate schools both in the U.S. and abroad. My long-term plan is to start a career in international law. I would especially love to work at progressing recognition of human rights worldwide. I am willing to accomplish this task in whatever position is best suited for me, be it as a politician, a foreign service officer, a diplomat, an educator or a worker in the United Nations. For more information about how to apply for the Boren Scholarship or Fulbright opportunities, contact the Center for Fellowship and Scholarship Advising at nationalscholarships.syr.edu.